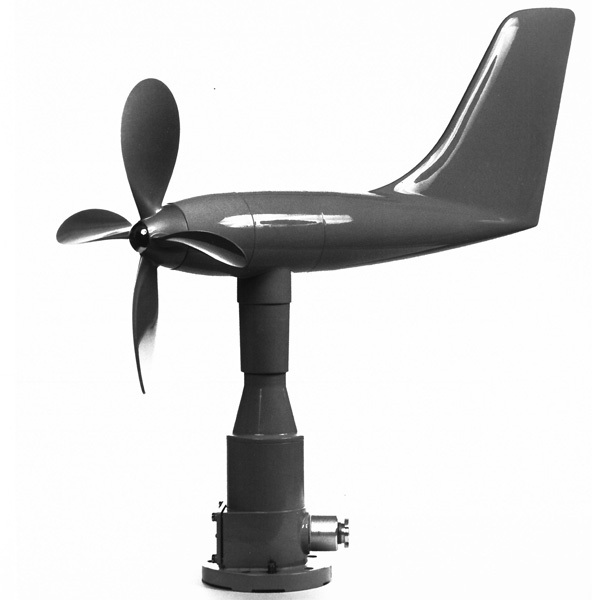 The 200-2218 Analog Indicating Wind System consists of a rugged sensor capable of withstanding hurricane force winds and a console for remote display of wind speed and direction. The sensor is a 200-2206 NovaVane which measures wind speed using a four-blade propeller coupled to an ac generator transducer. 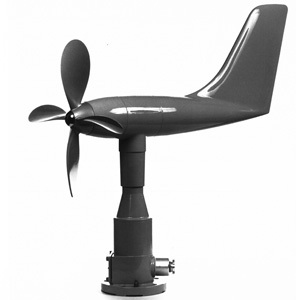 Wind direction is monitored by a counterbalanced tail which drives a synchro transducer. The indicator console includes electronics which condition the sensor signals for display. The ac voltage representing wind speed is converted to a dc voltage and scaled. The resulting signal is displayed on a jewel and pivot type galvanometric dial. 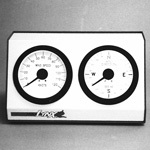 The standard indicating ranges are 0-120 mph, 0-120 knots, or 0-45 m/s. Other ranges are available on special order. The rotation of the direction sensor synchro is received by an identical synchro in the console. 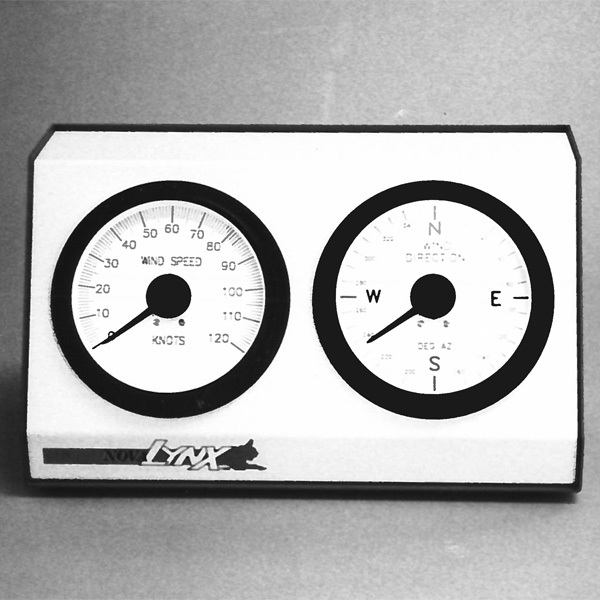 The attached wind direction needle travels proportionally over the 6" diameter dial. Because the synchro output has no discontinuity at north, indication is continuous over the complete 0° to 360° range. Four cardinal points are noted on the dial. The indicator console should be installed indoors and may be located up to 1000 feet from the sensor. Two indicator consoles may be used to display the output of a single sensor. In this case the 200-22152 Master Indicator Console is connected to the sensor and provides an output signal to the 200-22155 Slave Indicator Console. Special order synchro to analog outputs are available. Consult factory.